Infosys, a global leader in consulting, technology and next-generation services today announced that it has been selected by Proximus, the largest telecommunications company in Belgium, to implement Excite – a business transformation program aimed at delivering superior digital customer experiences for its enterprise clients. The multi-year program will strengthen Proximus’ leadership in the professional services market by replacing legacy IT systems, streamlining processes and deploying advanced tools for quoting, selling, ordering, billing, invoicing and more. 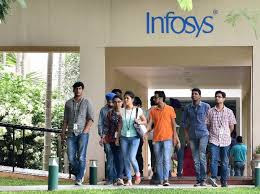 As part of this program, Infosys has been entrusted with the joint overall responsibility and ownership of the Greenfield Excite program, which includes simplifying and remodelling the company’s portfolio of products for the professional services market, realigning business processes and organization around it, and digitizing business transactions. To achieve this, the program will consolidate more than 40 legacy IT systems into six new robust platforms to enable better product lifecycle management. It was terribly helpful on behalf of me. Keep sharing such ideas within the future likewise. This was truly what i used to be craving for, and that i am glad to came here! Thanks for sharing the such data with U.S..